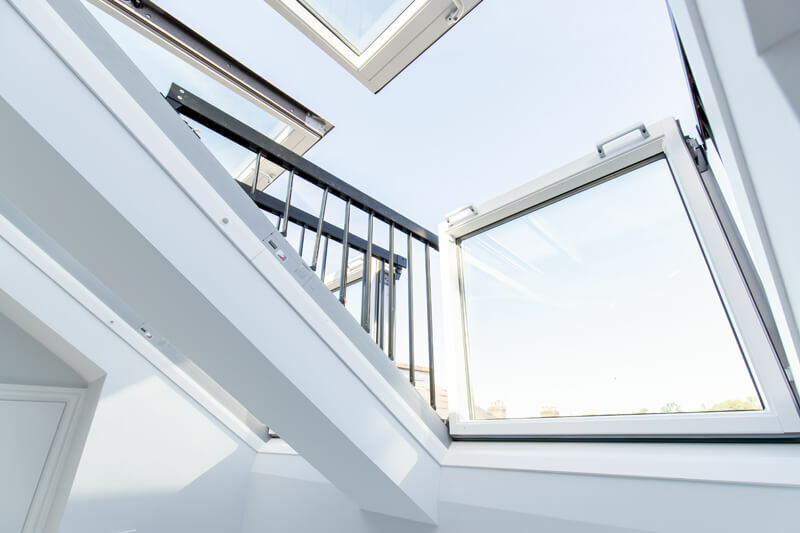 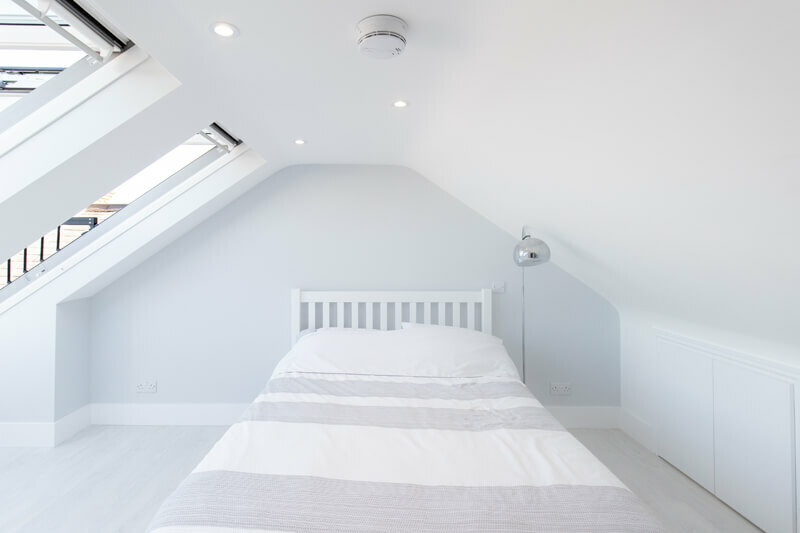 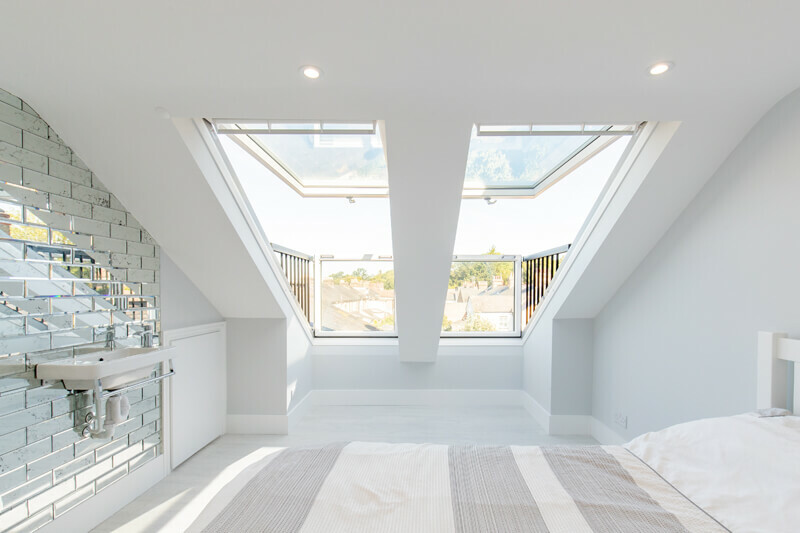 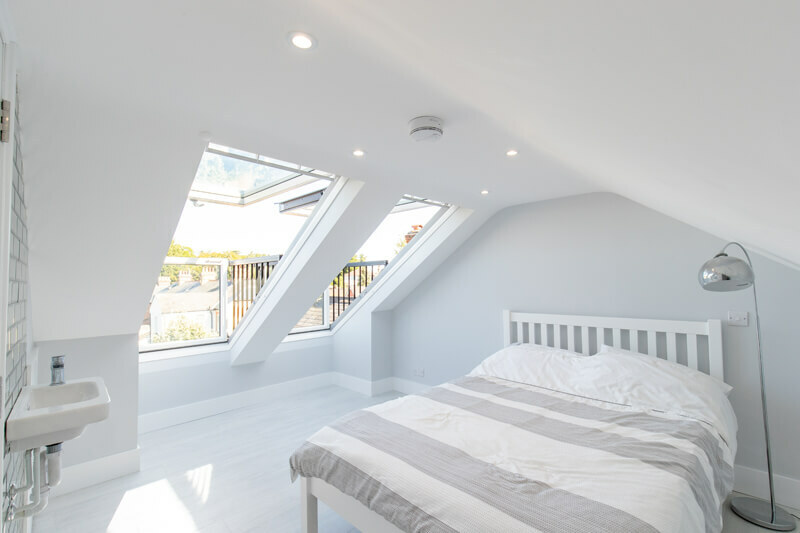 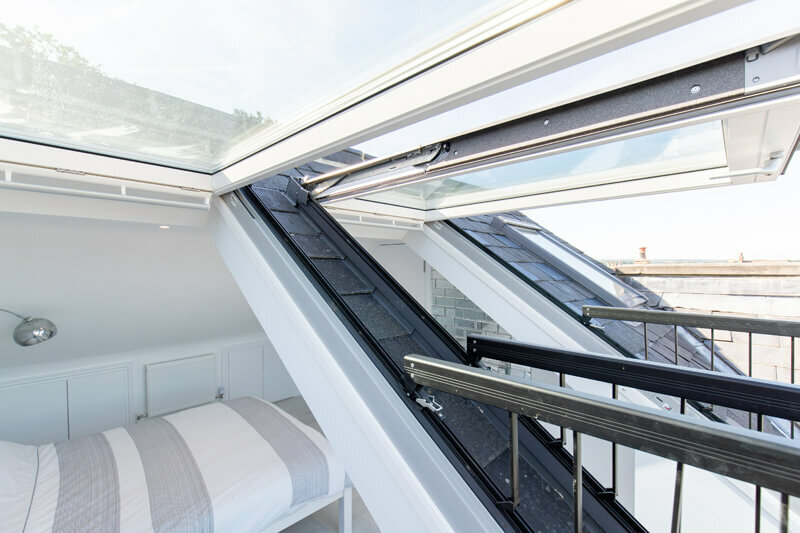 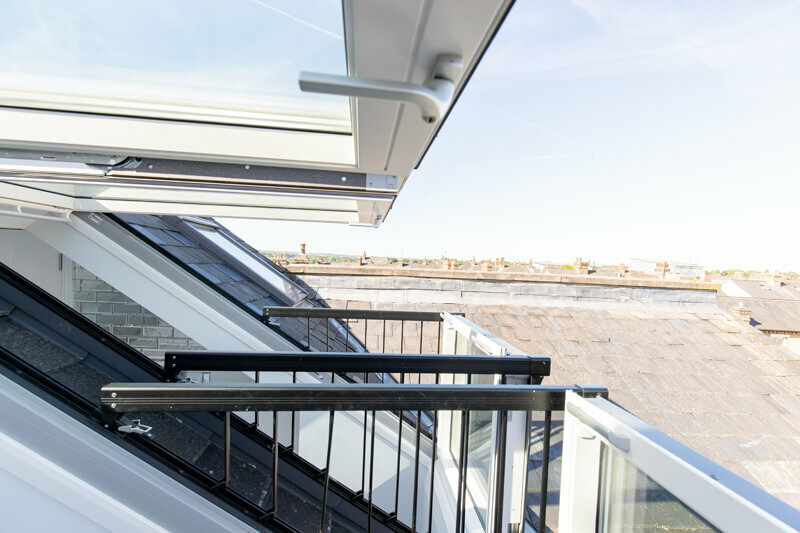 The use of two velux cabrio windows gives this loft conversion project in Hertford a real edge, adding a sense of bringing the outdoors in and maximising the natural light. 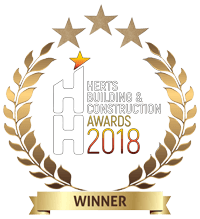 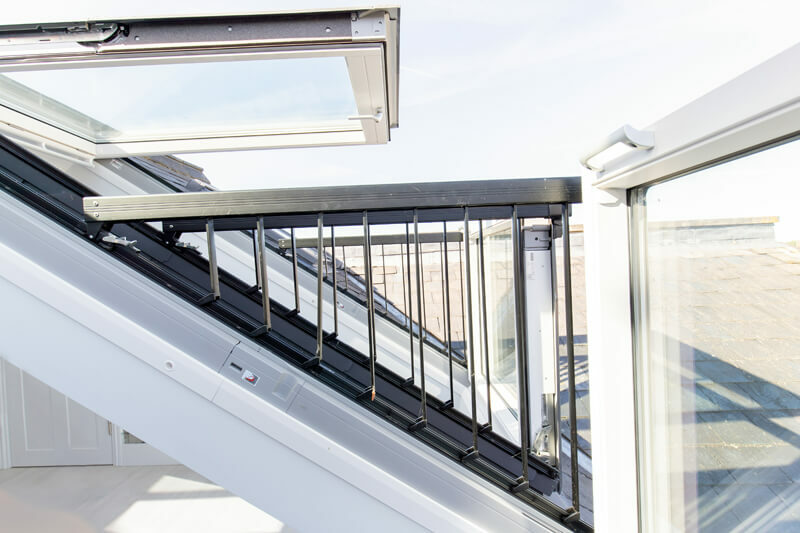 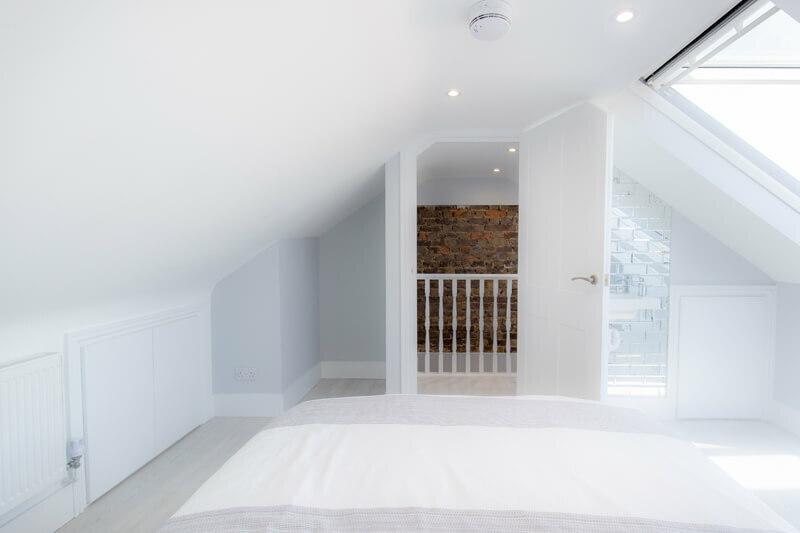 This client was looking to convert an otherwise unused space above the main property into a handy guest room and with the added feature of using the windows to create a balcony area, it has become a standout feature of the home. 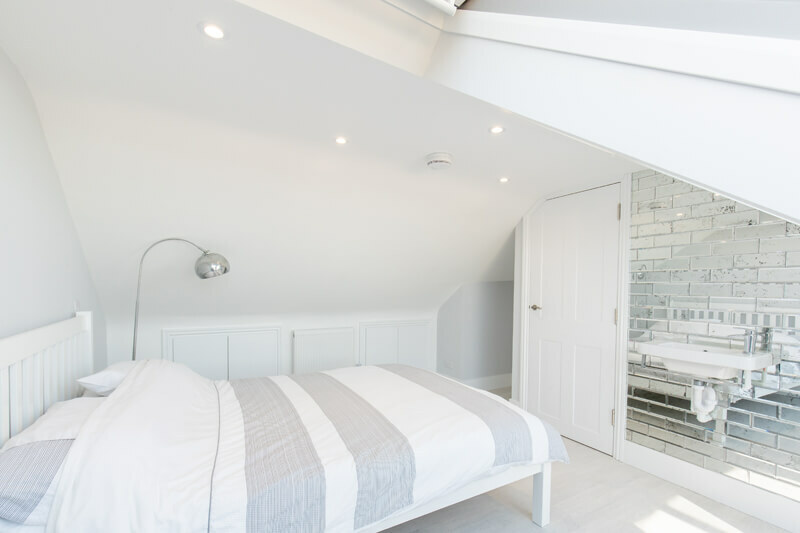 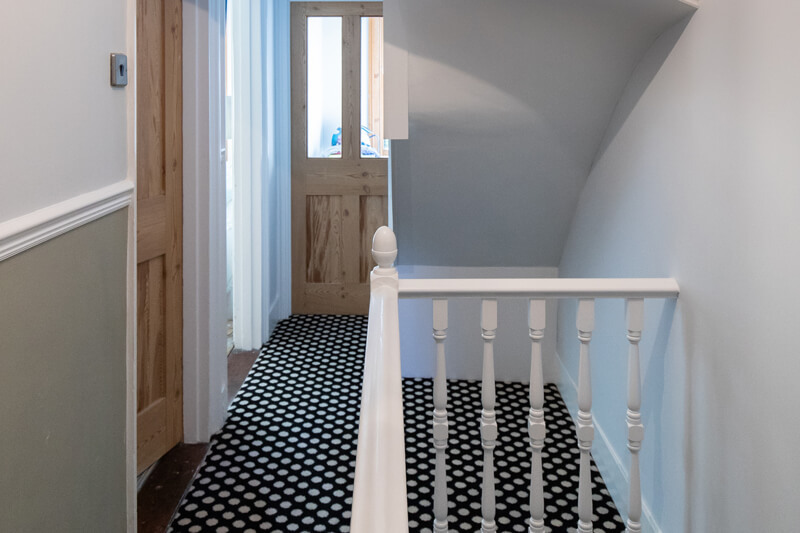 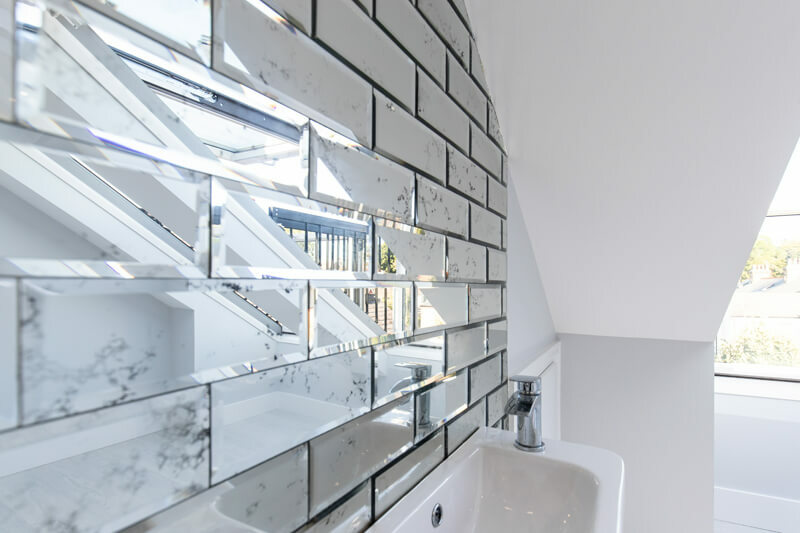 To complete this project, the team skilfully moved the existing bedroom wall back 18 inches to accommodate the new staircase and what awaits at the top is a cosy bedroom complete with hand basin and wardrobe space. 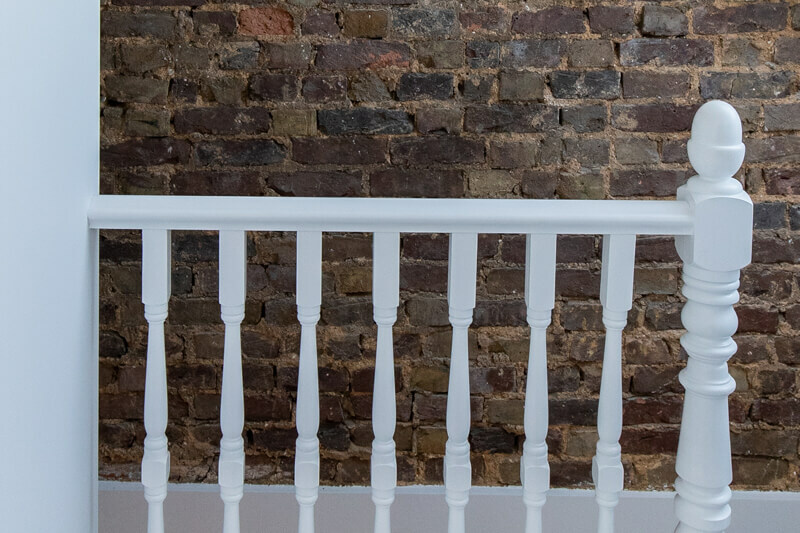 To give the space character, we exposed, treated and sealed the property’s existing brickwork to give another traditional feature.